I’m all about creating “found time” these days. One way I do this is by padding my schedule with extra drive time so I can slow down and not be affected by traffic. If it takes twenty minutes to get where I’m going, I give myself thirty or forty. Now, if I catch every light red, or get stuck behind a slow poke, there’s no anxiety. If it takes me an hour to get ready, I give myself an hour and a half. This allows time to deal with a mascara emergency, or a wardrobe malfunction. I’ve examined all areas of my life where I can add a few extra minutes here or there to all my tasks, and it’s like magic. I don’t rush and I don’t worry or fret. And I still get everything done. Now I have pockets of extra minutes in my day to think, to daydream, to puzzle things out…to let my mind relax–which is a sure way to cultivate creativity! “I’m Lyle Lovett’s biggest fan!” I heard her say to the person she was with. 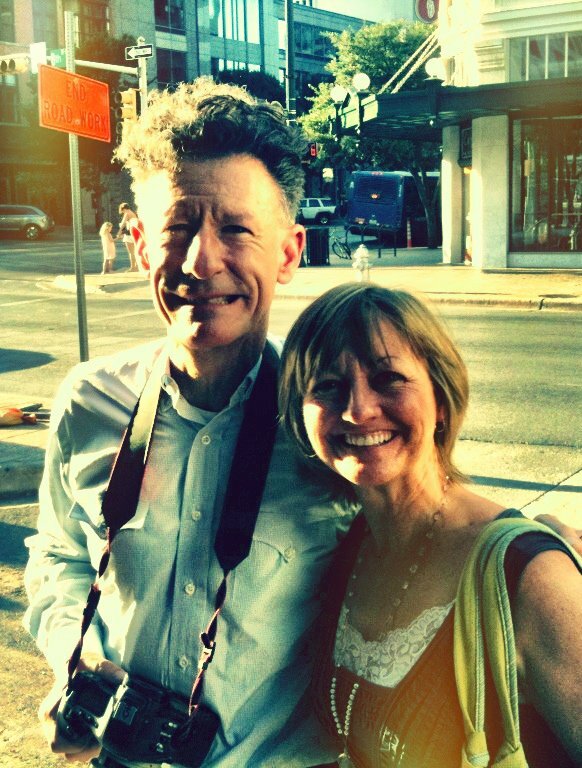 Everyone who has ever met me knows that I am Lyle Lovett’s biggest fan. It was October, 2007 just outside of College Station, Texas. My three sisters and I were enjoying a raucous sister’s weekend at Big State, a huge outdoor music festival featuring Lyle Lovett, Willie Nelson, Robert Earl Keen, Miranda Lambert, Los Lonely Boys, Dierks Bentley, Kelly Willis, Kevin Fowler, Tim McGraw, and so many others. The sun was setting and we were positioned right up front to enjoy Lyle Lovett’s much-anticipated set. The Large Band had barely finished the first song when this misguided woman nearby had started with her remarks. She was all like, “Oh, I love him so much. I’ve seen him seven times. I know all the words to all of his songs.”….blah blah blah. I won that argument real quick. She was quiet after that. 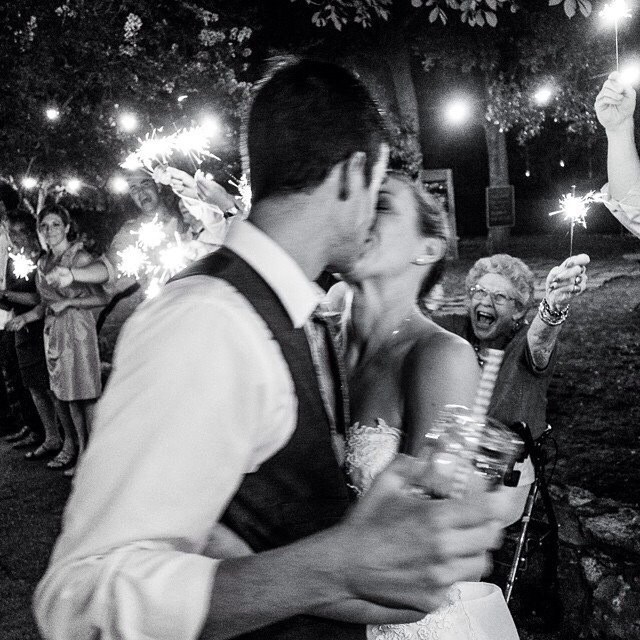 Here is a sneak peek of the bride and groom. I’ll have a full post in a few days. Right now I’m basking in the glow of a week of beautiful memories. I can’t get enough of Grandma’s exuberance in this shot! SO. MUCH. JOY. Let’s go to Wig’s Wag-a-Bag for an ICEE! My three sisters and I often spent summers in Oklahoma with aunts, uncles and lots of cousins. The excitement of summertime filled us with so much light and joy we thought we might burst. The days were barefoot lazy, and except for meals, blissfully structure-less. We’d get up early and put on yesterday’s bathing suits – sometimes still damp from being washed out in the sink the night before. Hours were spent running through the water sprinkler, laughter filling the air. Later we’d ride bikes, play games, lay under a shade tree making whistles out of blades of grass. Once a week Aunt Cookie would load us all into the car and we’d go to the laundry mat down the street. In our bathing suits, we found ways to occupy ourselves while the clothes tumbled in the machines. After the clothes were dry and folded, we’d go across the street to Wig’s Wag-a-Bag for tiny brown bags of penny candy and an ICEE! Barefoot, bathing suits, crazy hair and an ICEE. Those were the days.